As most of you know, I am in search for a ‘good’ Indonesian restaurant (amongst other things), Hubby is in search of the best Pho. He has been disappointed time after time, but every time we see a Vietnamese Restaurant, he still insists in ordering Pho. We were wondering around Tin Hau looking for something to eat, I was having another one of those ‘I don’t know what I want’ day, which is never a good sign! We could walk for hours and I still wouldn’t know what to eat! So anyway, Hubby saw this restaurant and thought perhaps we should give it ago. I wanted the fried chicken with tomato rice, however, they didn’t have that on the menu. I am beginning to think that it might just be a Sydney thing. I ordered the next best thing, pork chop with rice. 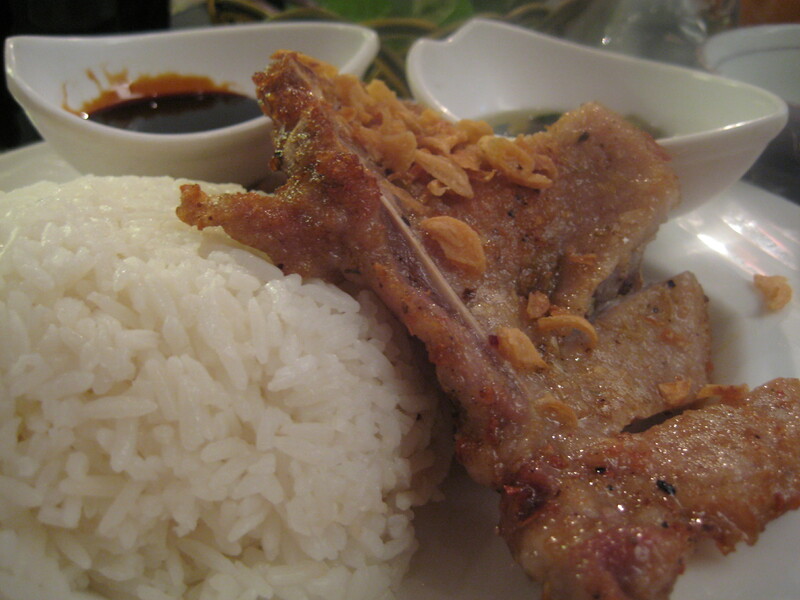 The pork was deep fried, although thin, it was certainly tender, succulent and absolutely tasty. It was served with kecap manis (sweet soy sauce) and chili and scallion oil which was a great compliment. I thought the serving was a little small though – 2 tiny pieces of pork chop? It’s not a huge restaurant, quite cozy, with an open kitchen at the back. We sat near the kitchen, so not only did we see the chef do his thing but I also smelt like food when leaving – which is something I don’t particularly like! I quite like the decor, on the walls were paintings and pictures of Vietnam and Vietnamese food. The service was good, waiters tentative. 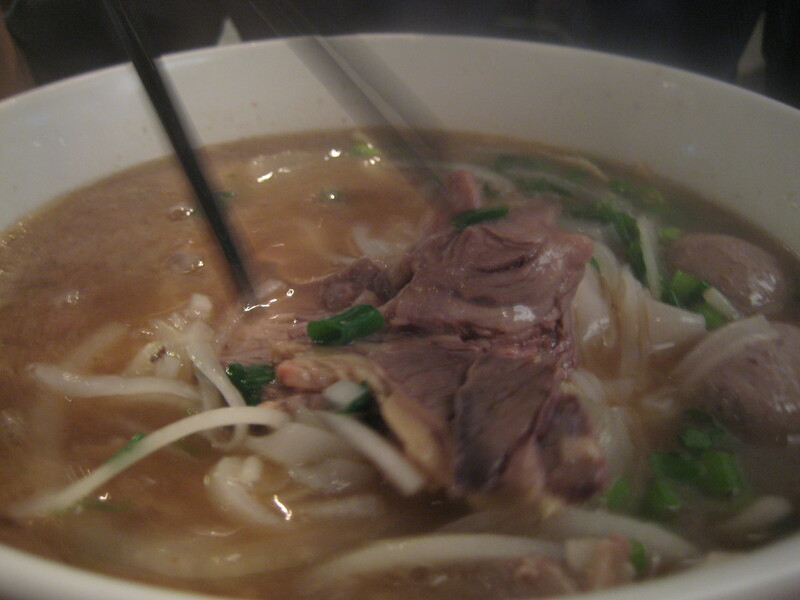 Almost every table had a bowl of Pho – I guess that was their specialty but I know I have tasted better (in Sydney).